Examining documents, pictures, and artifacts from the past provides a first-hand narrative of that time period. 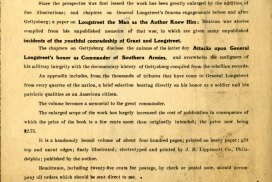 There are many primary sources available to help us learn about the Civil War. Look through the items in the gallery below to gain a new perspective on the people, places, and events during that time. Abraham Lincoln commemorative ribbon – 1892, from the Georgia Historical Society, A-1361-353. 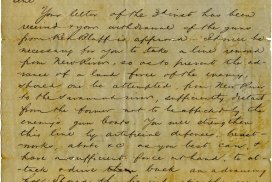 Robert E. Lee papers, 1838-1871, from the Georgia Historical Society, MS 489. 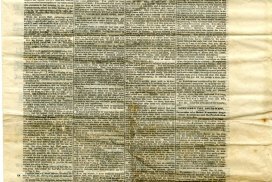 The February 5, 1865 edition of the Savannah Republican newspaper, from the Georgia Historical Society, MS602. 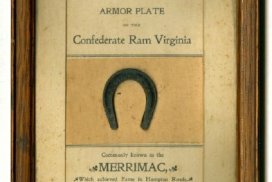 Framed miniature horseshoe made from the armor plate of the Confederate Iron-clad Ram ”Virginia,” from the Georgia Historical Society, A-1361-117. 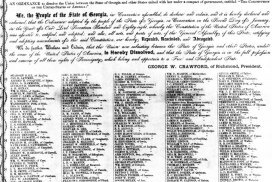 Bureau of Refugees, Freedmen, and Abandoned Lands records, 1865-1869, from the Georgia Historical Society, MS 5915. 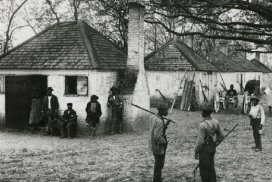 Hermitage Plantation – Slave Quarters, from the Georgia Historical Society, 1361PH-01-15-0133. 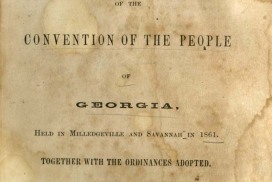 Helen Dortch Longstreet papers, 1904-1941, from the Georgia Historical Society, MS 1341. 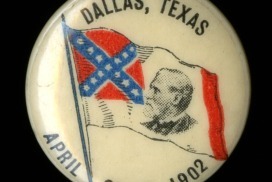 Robert Hunt’s Confederate Memorial Day pin from Dallas, Texas, 1902, from the Georgia Historical Society, A-2121-001. 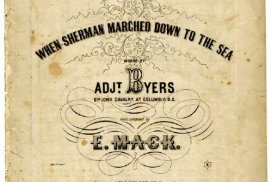 Sheet music for ”When Sherman Marched Down to the Sea,” from the Georgia Historical Society, MS 1948-01-01-01. 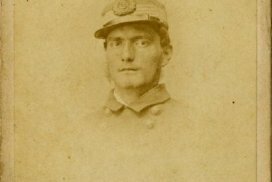 Eugene Anderson Maffit, Midshipman of C.S.S. 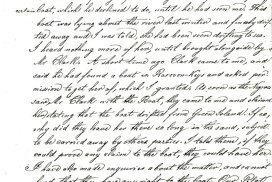 Alabama, from the Georgia Historical Society, MS 06-01-31.